Asleep at the Wheel and Cain’s Ballroom – Can It Get Any Better? 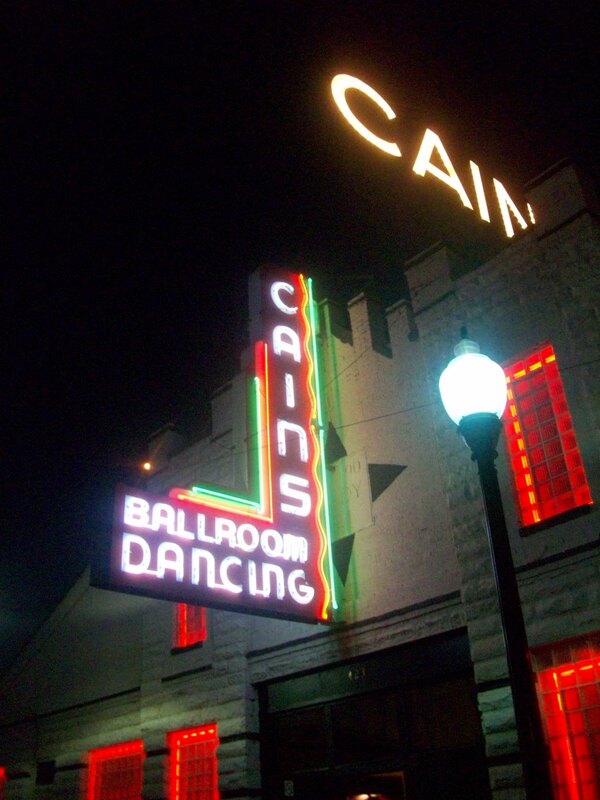 Tulsa’s historic Cain’s Ballroom – the home of Bob Wills – was the perfect setting to hear Ray Benson and Asleep at the Wheel. We were there for the final party of the 2008 National Preservation Conference, and Benson used the occasion for a history lesson of western swing. With his beautiful bass voice, fluid guitar lines, and expert showmanship, Benson had the crowd in his hand from the opening notes of Take Me Back to Tulsa. The tight band worked through song after song in the western swing catalog (“Western Swing Ain’t Dead…It’s Asleep at the Wheel!) We danced to Choo Choo Boogie, Faded Love, and so much more. It was great to hear this band with so many friends and colleagues. Kaye told me they are her favorite band and she cleans the house while listening to their CDs. Ed told me he saw them once in New York, but “they’re much better here.” Must be that cultural context. Newcomers to the music kept saying, “what a terrific band.” Indeed.